When framed with a hand-carved gold leaf ornate frame, a piece might completely change demeanor. When framed with a more basic but sleek floater frame, a piece with a lot of action might appear more pulled together and complete. A frame can invite a piece to travel back in time, to take on a more modern aesthetic, or gracefully or dramatically finalize a composition. Framing possibilities are exciting and extensive, always transforming a piece with unique character. A silver floater frame can do wonders to a landscape painting with a lot of texture in the foliage and fallen leaves of Palmer’s “Mist in the Distance.” The atmospheric nature of this piece framed in illuminating silver creates a harmonic balance between shadow and light. A black floater frame might blend too much with the dark corners of the painting, whereas a thin line of silver appears eye-catching and polished. 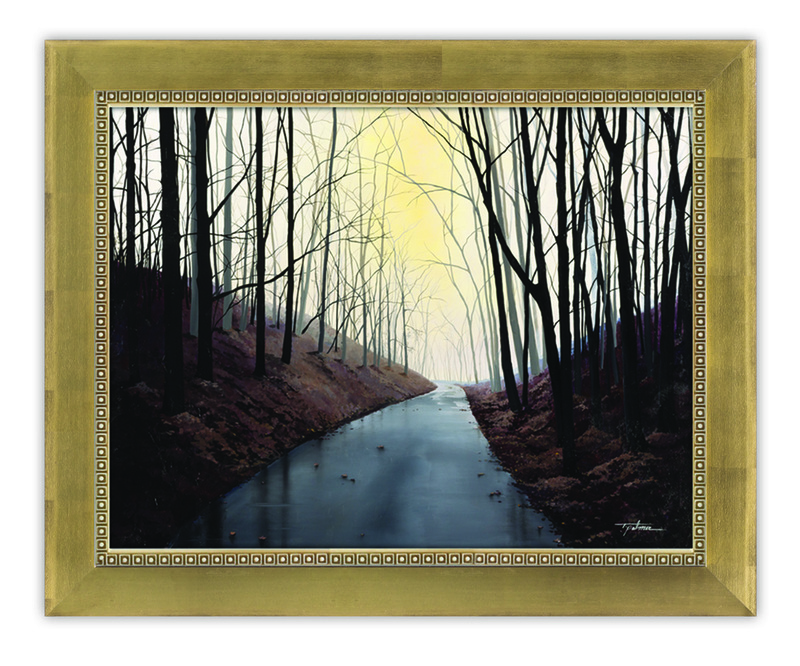 The same painting when framed with a more decorative golden border draws attention to the yellow-gold light or mist seeping into the woods. The detail in the inner silver leaf frame and its geometric display bring the painting to life with a classic and characteristic finish. 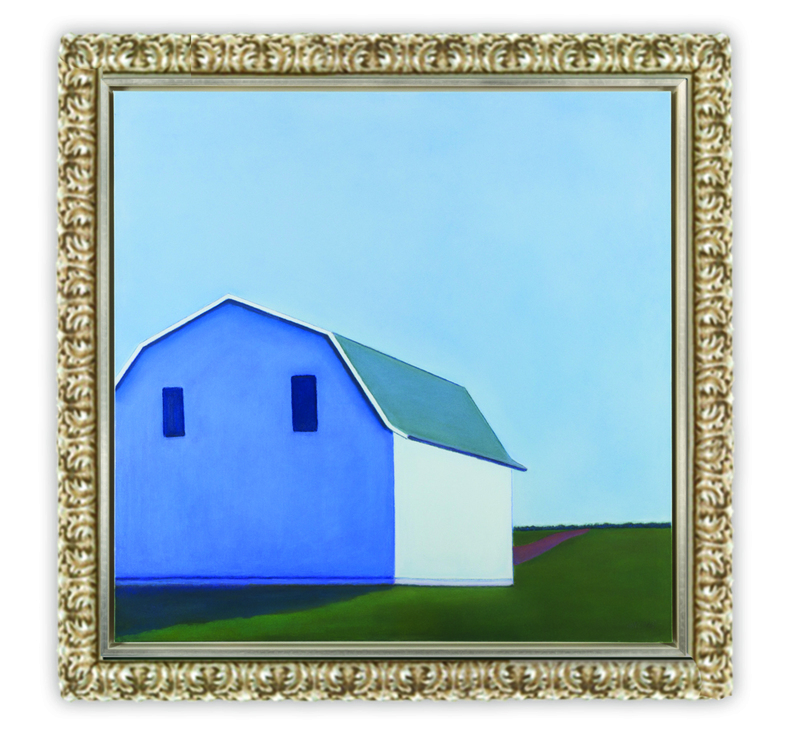 Pritchard’s “Quiet Place” is the perfect cool blue piece for a decorative vintage frame. The smooth nature and subtle palette of “Quiet Place” welcome a frame with delicate flair to give it the final touch it desires. 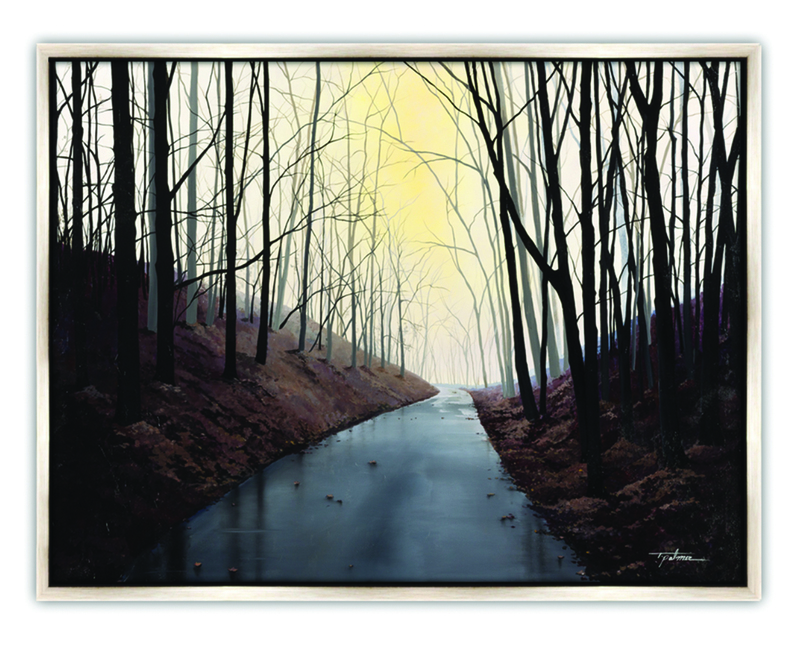 A silver frame paired with “Quiet Place” invites Pritchard’s piece to take on a sleeker, more contemporary look. 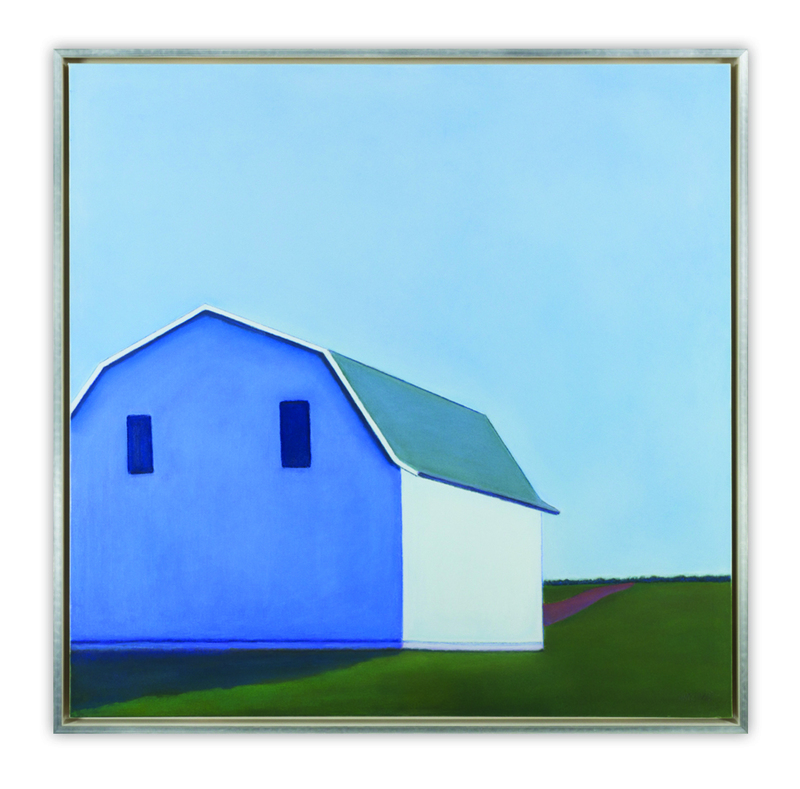 A thin frame like this one displays the piece’s depth, giving it a bit of room to breathe while also giving it a simple accent for a more calming composition. Sometimes going the unexpected route can end lead to a creative fusion of design aesthetics. 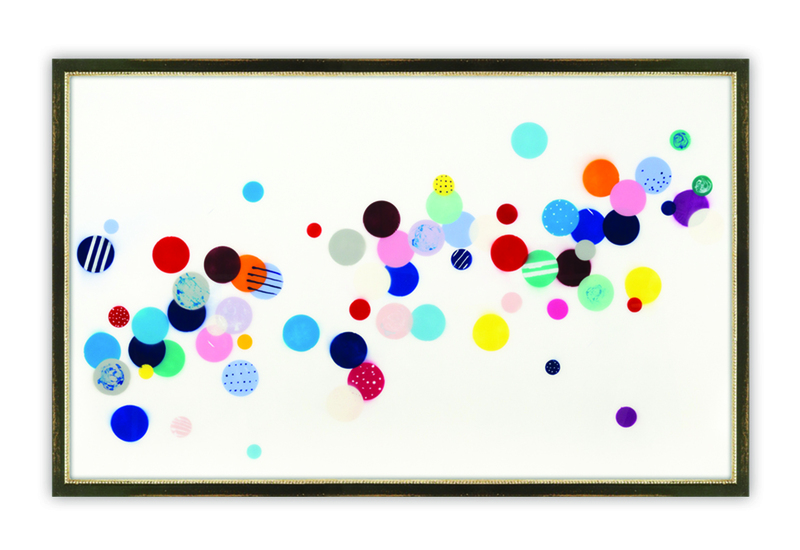 Pairing this mixed media pop piece with a vintage deco silver leaf frame introduces a whimsical yet bold balance. The frame’s architecture adds a dynamic sense of depth to McClain’s “Going West,” engaging a mixology of creative genres for an unforgettable style. 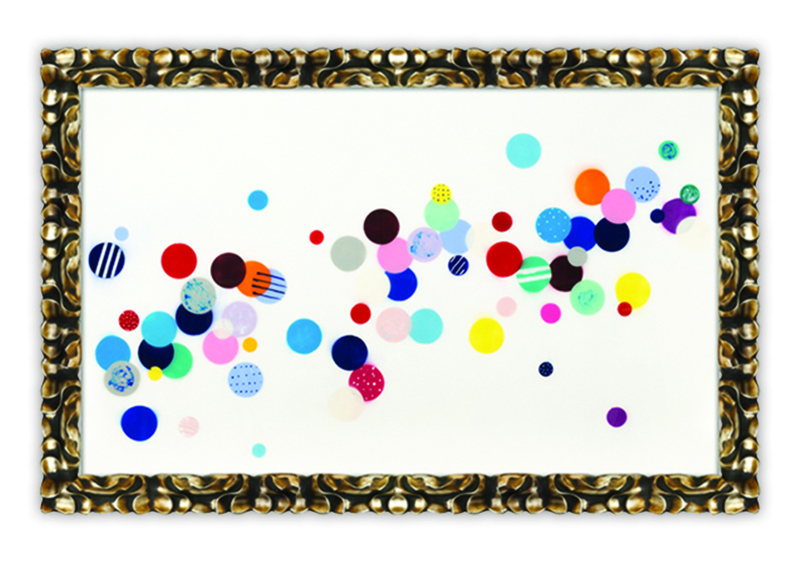 This decorative chocolate and cool silver frame adds a dignified touch to the pop art style of McClain’s “Going West.” The dark exterior of the frame picks up on the darker hues of the piece, while the inner silver-beaded character adds a luxurious and refined nature to this contemporary work of art.